Time to ka-chow down, Fangirls! The other day I was at Toys R Us, and spotted the cutest little cookbook for $1! It’s an after school snack book, featuring some of the best from Disney and Pixar movies. 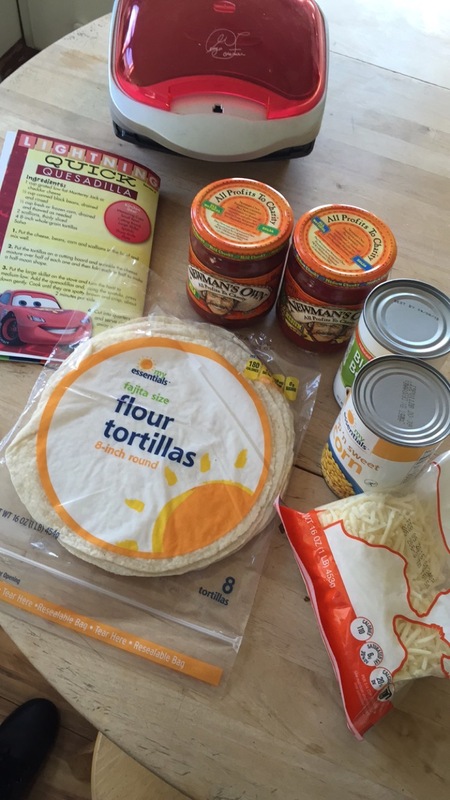 The first page had Lightening McQueen’s Speedy Quesadillas. My grandmother, who is visiting from Tennessee had never had quesadillas (which is so bizarre to me), so I decide that they would be a great first recipe to start with. I did vary from the recipe a bit, so I’ll include both what the recipe said and what I did. I skipped the scallions, and tripled the recipe (so I could have it the next morning with my eggs). I also added salsa, because that’s kind of a staple when it comes to quesadillas. 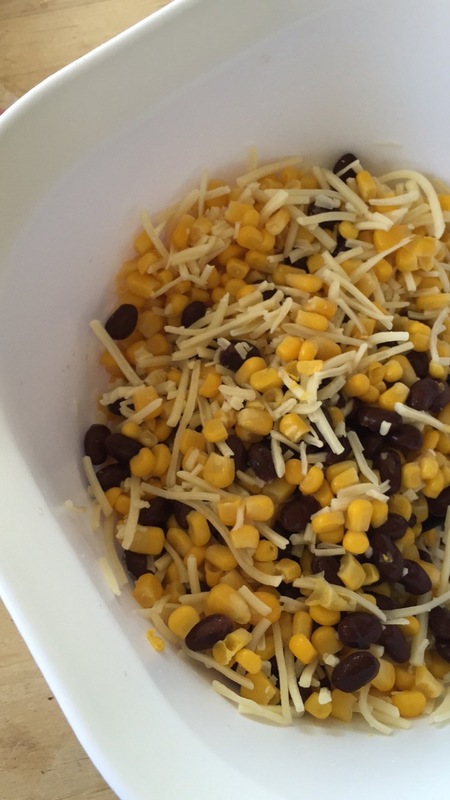 Mix the corn, black beans, and cheese in a bowl. If you’re doing scallions, mix them in too. Put your mixture on one side of your flattened tortilla, and if you’re doing salsa, put that on the other side. This way, when you scoop your mixture onto the tortilla, you don’t stick the spoon in your salsa; if other people want tortillas without salsa, this is better for them. Pop them into a George Forman Grill until the cheese is melty (which is about 2-3 minutes), then serve! You can top them with sour cream, or eat them with a salad. 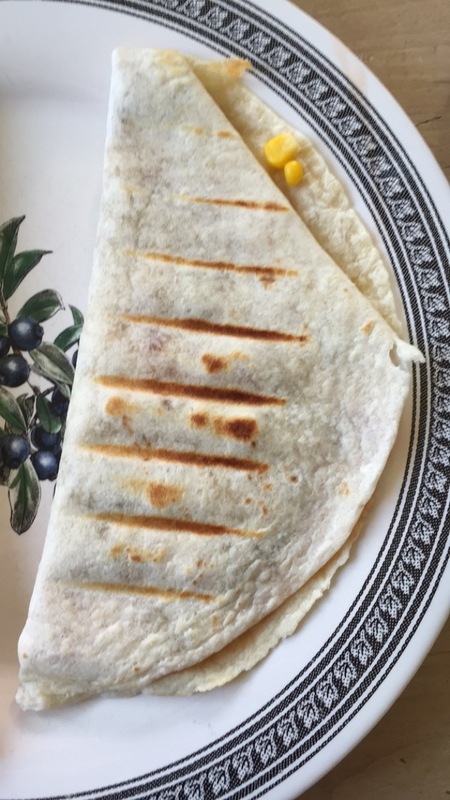 I love quesadillas because like the recipe says; they’re quick. It takes almost no time to make them, they’ve got protein in them, and they’re super tasty! I think even Mater would be into these! 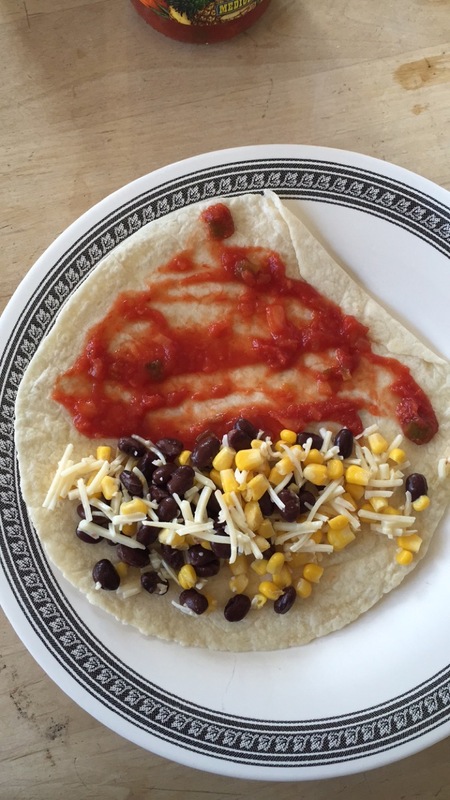 If you have your own recipe for quesadillas, share it with us! We’re always looking to try out new snacks and meals.